iIn this generation of tech and automation it’s important kids still have play options that foster their imagination. 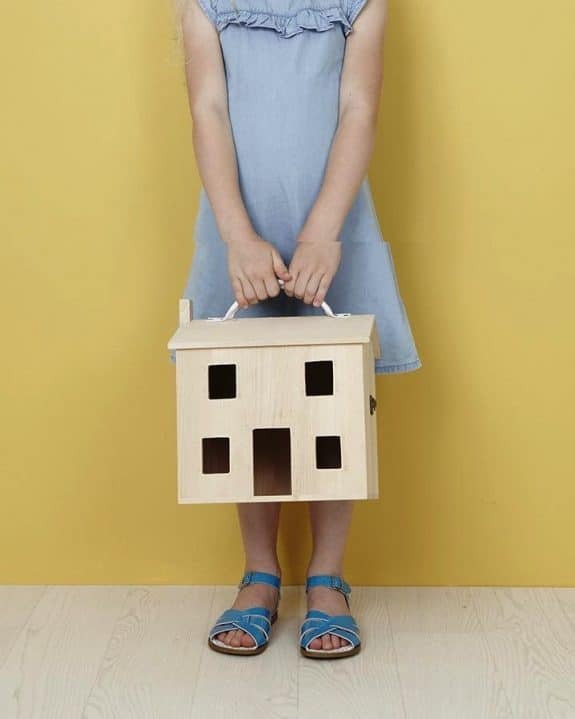 Oliella’s Holdie House is the perfect play house for kids looking to role play with their favorite characters. 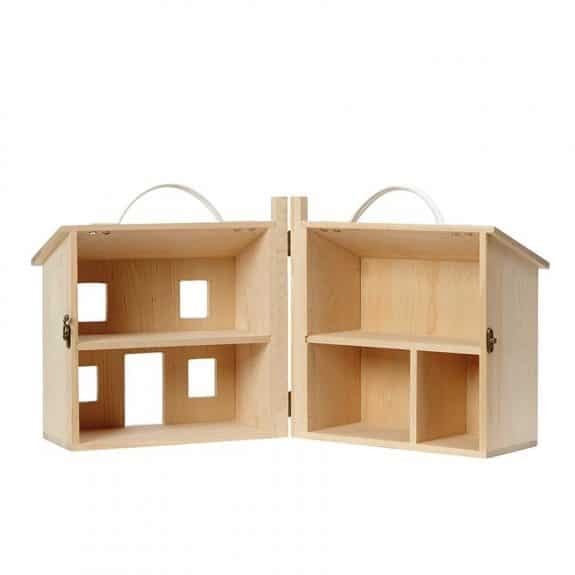 Made from FSC certified unfinished birch hardwood, this lightweight toy house is perfect for toting about. At just 3.3lbs, it’s lightweight enough to be carried by a toddler and stylish enough to be loved by children of all ages. 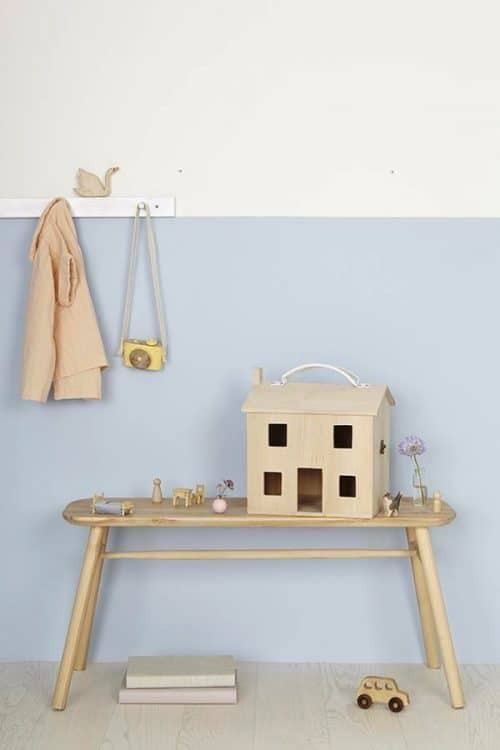 It is noted that the natural raw wood this house was created from is porous so you can leave it as is, paint it, or apply wood oil or varnish to seal. This gives kids another way to make it their own. As a blank slate kids can add their favorite prints to the walls to give each room a custom look. The house is finished with a tiny latch and vegan leather handles.